Last time Principal Artist Jeff Toney finished modeling the magic world tree, Bartleby. The 3d model we left you with doesn’t look like Bartleby just yet! When I left off last post we had Bartleby modeled and were able to walk around him in our custom game client to make sure we liked his size and the shape of his features. Still there was one major step left to do; we had to texture him. Textures are pictures we create to give the illusion of different materials (in this case the components of the tree) instead of the flat polygons that we had in place. Bartleby was made of bark, but he had a canopy of leaves and his eye looked more like a human eye than one carved out of wood. You might think we would start with painting the textures first, but we first must plot out where the texture will wrap around the object. In 3d Studio Max, there is a process called UVW Mapping that lets you decide how a texture gets wrapped around an object. Think of the texture as a piece of paper that you can wrap around the object. We could draw on this piece of paper and the model would reflect that change. Like a piece of paper, you can make different shapes with this texture. A single piece of paper could be folded into anything from a cylinder to a square to just the flat paper itself. Since Bartleby was a cylinder at his basic core, we can wrap this paper around him the same way. Notice the cylinder around Bartleby in the last picture? This is how his texture will be wrapped around him. Our next step was to unfold the piece of paper back into a flat plane. When we did that, his texture looked a lot like this. This looked a bit like a jumbled mess, but this is usually how we start. 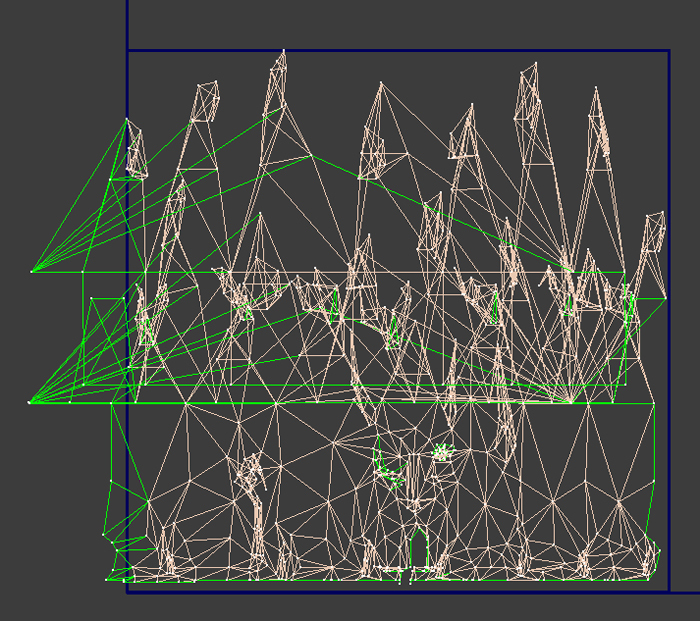 Every line and vertex of the 3D Bartleby model is represented here. 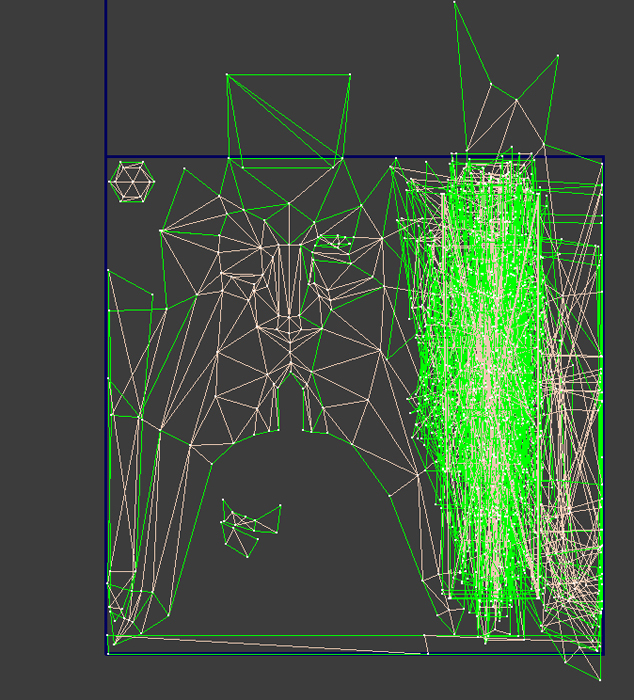 If you look at the bottom middle of the previous picture, you can see the outline of Bartleby’s face mesh. 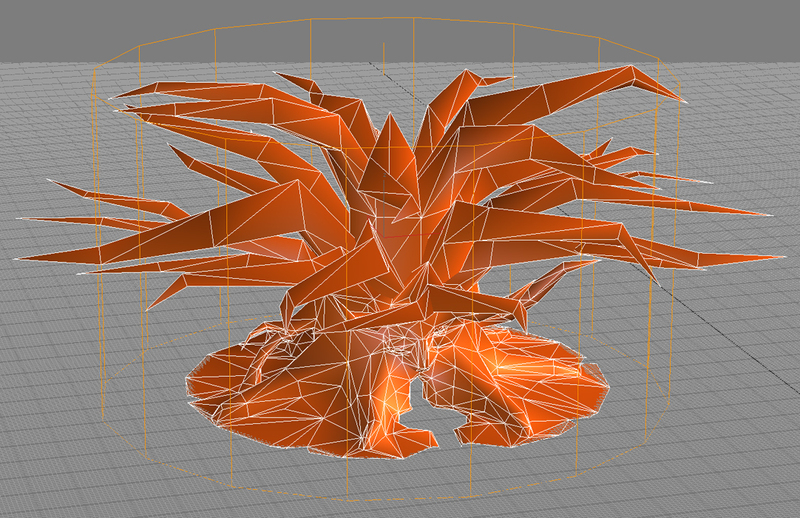 From this point, we could tweak and move each vertex to get a better “painting canvas” for our texture. 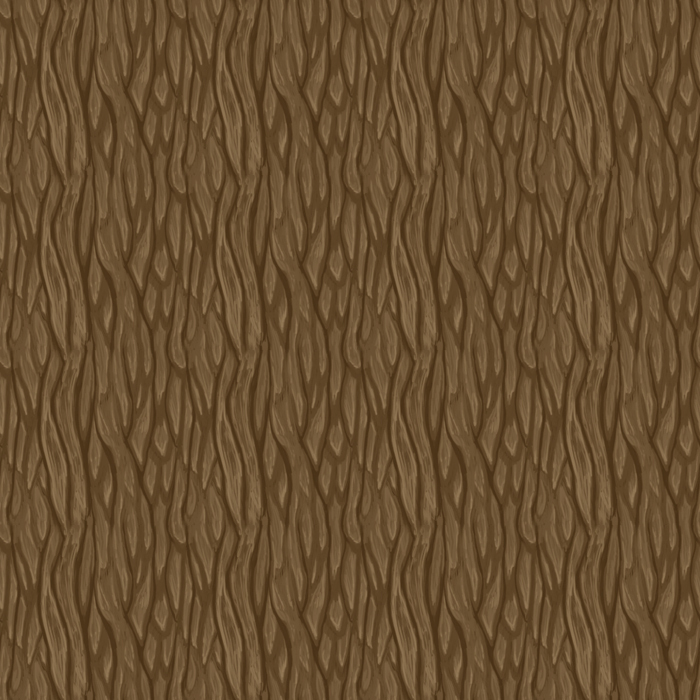 In the end of this process, we got a texture map that looked more like this. That is more like it. You can see his face was as big as possible in the space provided and the general bark was overlapping with itself. I then used this as a first sketch for my final texture. I started to paint a bark texture over the whole painting. I made it a bit cartoony in style with not a lot of details at this point. I then added shadows and highlights for his face and eye, and added some moss and grass to the polygons that touched the ground. 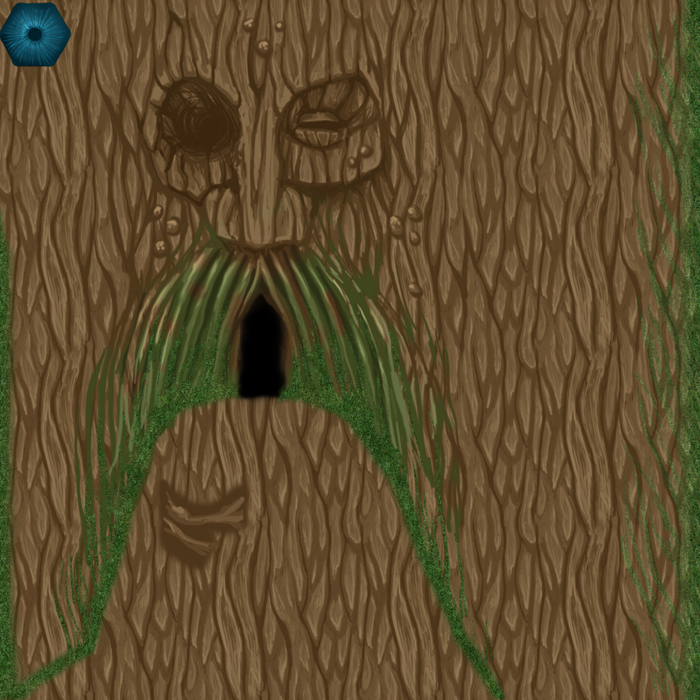 I finally add a layer of shadow and light and some detail bark texture to make sure he looked like a tree. 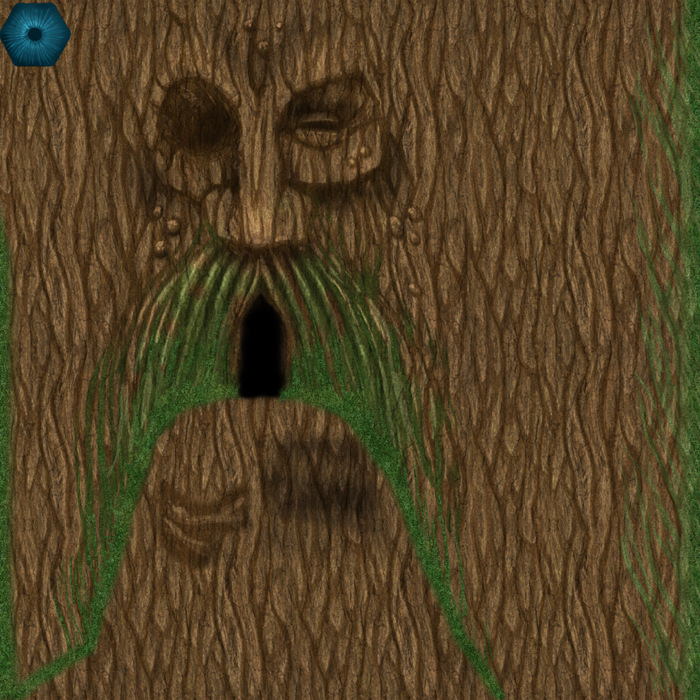 For Wizard101, our texture style is cartoony with just a hint of realism. This texture was then mapped to the model that we already had and he looked like this. That was more like it! After a few tweaks, he was then ready for an effects pass. 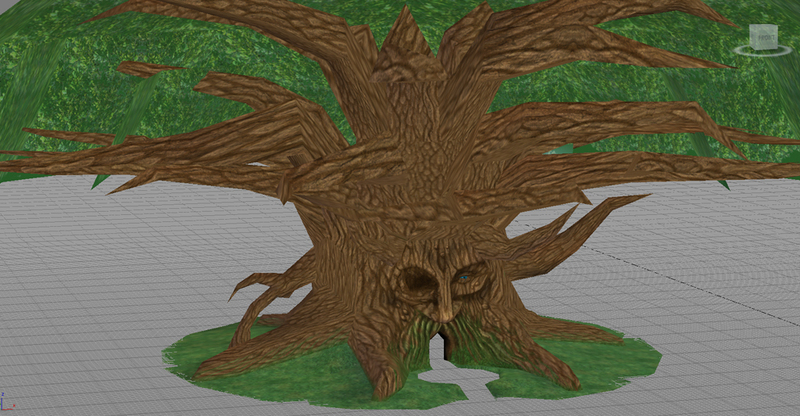 This was done by a specialized artist who added all the small environmental animations that surrounded the tree. This included beams of sunlight, small leaves floating down, wind, rain, and anything that helped give the scene more life. After a round of effects, here was the final Bartleby as he is in the game. 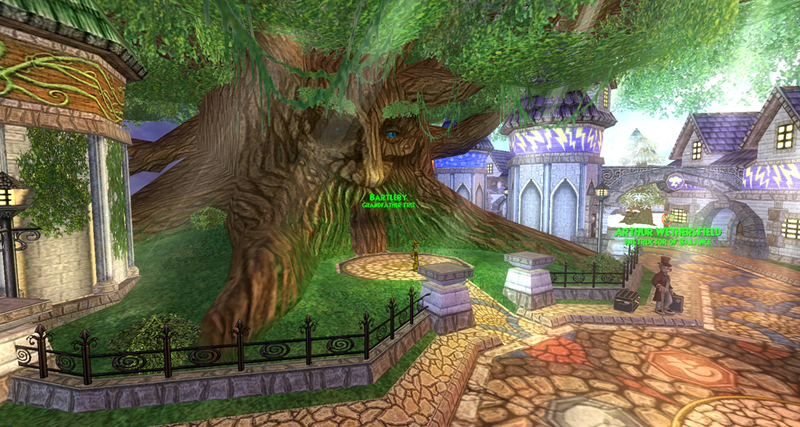 I am very proud to have worked on Wizard101 for so long, and always get a kick out of walking around Ravenwood with my characters, knowing that I helped create the great, wise tree that is the center of this magical school. Thanks for taking the time to read this, and I hope it helped in showing a bit of the process of how I make art in Wizard101! Too bad, I can even go to Dragonspyre now through Bartleby. Bartleby looked very ugly and weird looking during the stages of putting him together to where he is now Wow interesting. i can not stop playing this game almost every day i play this 🙂 love it who woulden’t like it? THE BEST REVOLUTION EVER I NEVER SEE THAT BEFORE! A 60 year-old gaming? That’s me! I started out signing up my grandson, and I got hooked! I have never been so engrossed in all my life. My daughter and three elementary-aged grandchildren are playing too! Now it seems that it is one of the main topics when we get together; and we love meeting up in the game. FUN! When will players/fans be able to purchase game merchandise? Such as (a few examples) prints of concept art or posters, mousepads, T-shirts, calendars etc. He doesnt look right cause isnt one eye supposed to be glass?